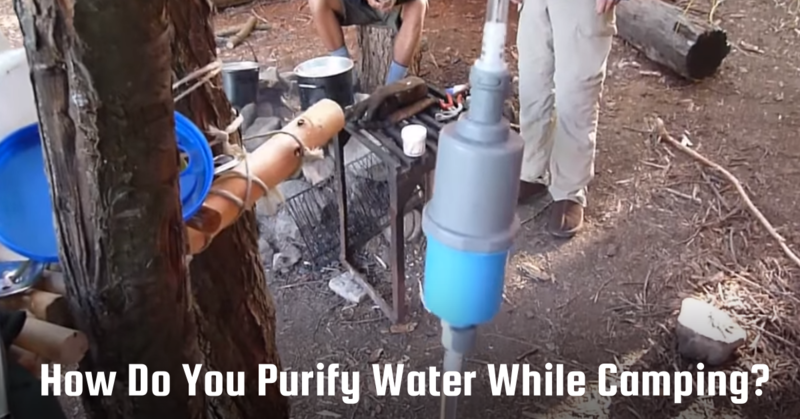 You are here: Home / Gear / How Do You Purify Water? 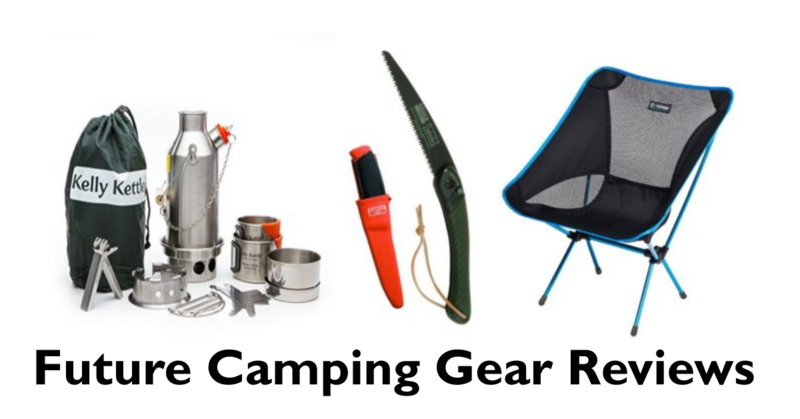 We’ll purify many gallons of drinking and cooking water for three crews spending a week canoeing in Ontario’s Algonquin Provincial Park this summer. 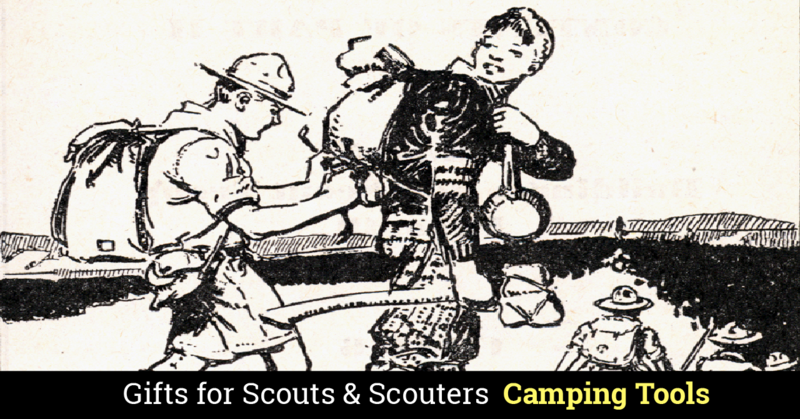 Here’s what I have learned about purifying water for a hundred or so Scouts and adults who have taken this trip over the past dozen years. We need water for drinking and cooking, and treat them differently. We purify nearly all our cooking water by boiling. 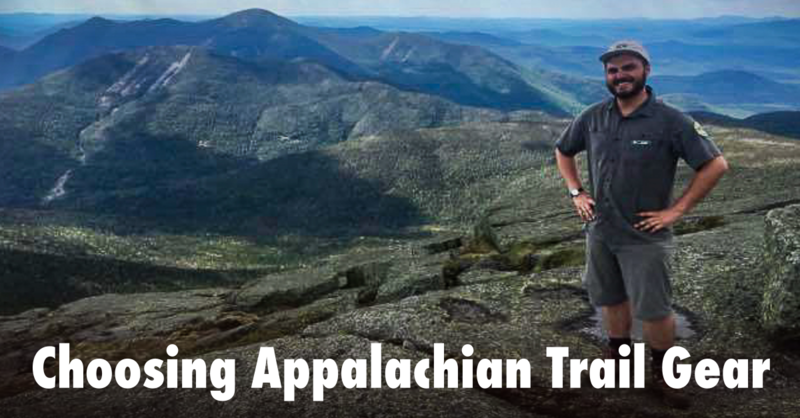 Our menus are a hybrid of freeze-dried and grocery store food explained in this article. We rehydrate some freeze-dried ingredients before they are cooked with filtered water, but when meals require boiling (pasta or rice for example) we’ll boil unfiltered water in the pot before we add food. Our wash water is also boiled (we wash up using these methods). Once the water reaches a rolling boil, we let it boil for 1 minute. 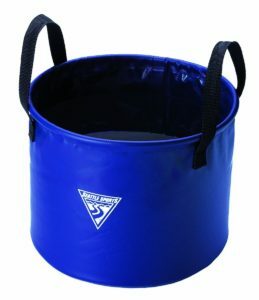 We haul all our water from the lake in a six gallon collapsible bucket. Water from ten or twenty yards off-shore has less sediment than water closer to shore so most of the time we paddle out and fill the bucket. In a few minutes most of the sediment (if there is much at all) will settle in the bottom of the bucket. We carry a few paper coffee filters and a kitchen strainer with us in case we have to pre-filter heavier sediment, but this is not often the case. Our Sawyer 3-Way water filters provide a week of foolproof, reliable drinking water. Over the past thirty years I’ve owned or used several different pump-type filters and tried different chemical purification options. Each has their merits and drawbacks. Pump-type filters have been prone to mechanical failure, tricky to use, prone to clogging and slow to use. Chemical purifiers take longer, leave an aftertaste, and depend on carefully measured, accurate proportions. Several years ago I settled on a gravity filter as the best way to provide water for a group. Gravity filters aren’t prone to mechanical failure like pump filters and are less fussy than chemical treatment. The only serious limitation is the filter element. (read more about how we set up our gravity filters here). 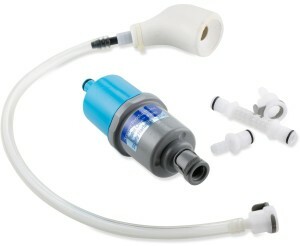 The Sawyer 3-way water filter that employs hollow membrane technology derived from kidney dialysis. According to the company website they engineered a hollow fiber filter for quick flow, accurate filtration and to withstand back washing so the filter can be reused. It’s been three years and our Sawyer 3-Way filters (we own three) are still working like new. 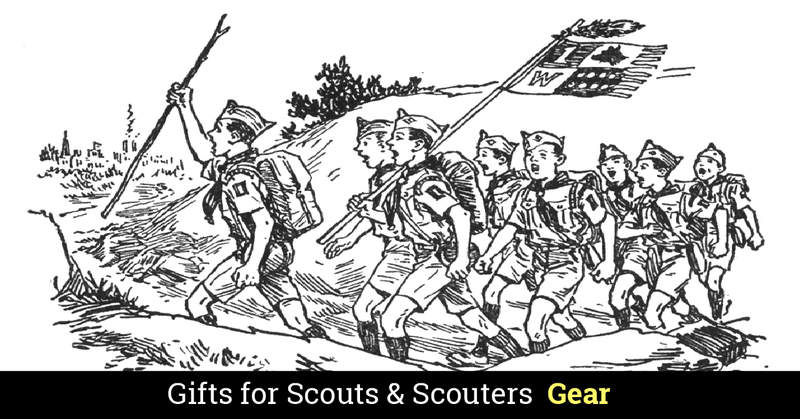 They have performed flawlessly for our weekend backpacking trips and our week-long canoe trips to Canada. Back-washing the filters only takes a minute or two, and they perform like new. 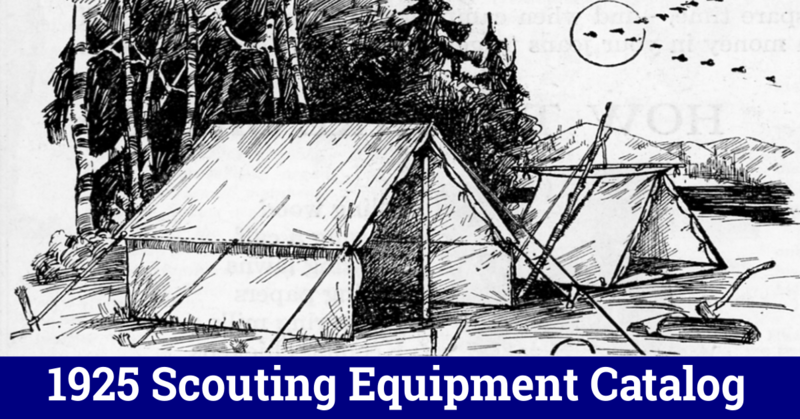 We always carry a backup chemical purification method. 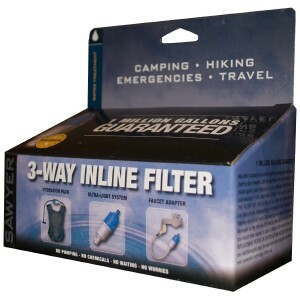 As reliable as the Sawyer filters have been there’s always a chance that they will fail. I have carried Aquamira for years, and used it many times as our principal purification method before we had our Sawyer filters. 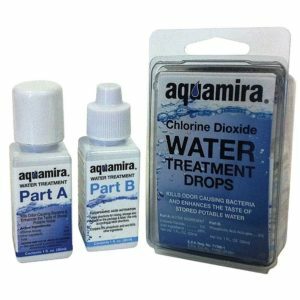 Aquamira is stabilized chlorine dioxide used in municipal water treatment. There is minimal aftertaste but does require a comparatively complicated process: mixing the two solutions and letting the treated water sit for a half hour or so. 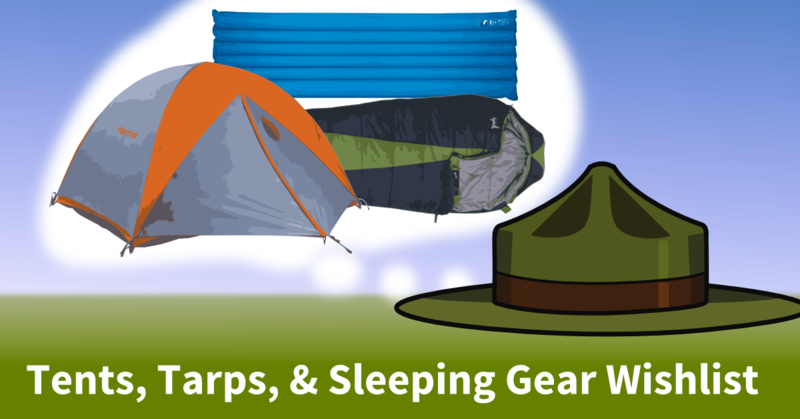 We’re canoeing the Boundary Waters next year, so this is great info. Do you have any tricks or tips about combating the bugs and minimizing their negative impact on the trip? Yes, go when the bugs aren’t there. Our first canoe trip was June, loads of black flies, horseflies, and mosquitoes. Next year we went in August, hardly any bugs. We use a gravity fed water filter bag with a ceramic filter that filters down to 2 microns. It’s extremely slow but we just leave it running into a 10ltr collapsible water container wile we get on with setting up camp. Do you worry about Giardia when you only use a filter? I understand it can slip through even 2 micron filters. I don’t worry about Giardia with the Sawyer filter – 0.1 & 0.02 micron filtration. You can read about their technology here. I woudln’t worry with a 2 micron filter either because the species of Giardia that infects humans is approximately 12 – 15 microns by 6 – 8 microns. Much faster than any ceramic filter I have used. Our filters are three years old and haven’t shown any signs of slowing down after having filtered hundreds of gallons of water.